I received a commission from the Texas State Fair to sculpt an award to be cast in bronze. It is loosely based off their iconic monumental "Big Tex" that welcomes people to the Texas State Fair. The finished sculpture is cast in bronze and mounted to Texas limestone base. 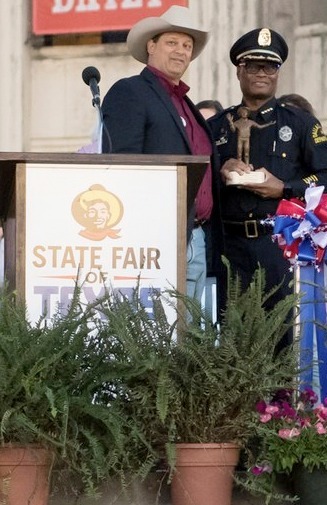 The first bronze sculpture award that I created for the Texas State Fair was awarded to Chief David Brown of Dallas Police Department. 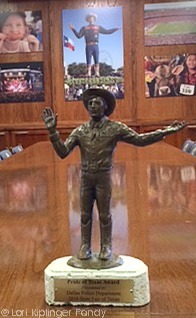 Here is a quick snap of the sculpture in the board room of the Texas State Fair.